Brian Ruckley is the popular author of novels including the Godless World trilogy (Winterbirth, Bloodheir, and Fall of Thanes) and comics such as Rogue Trooper and Highlander. Now he’s rebooting the world of Transformers from IDW. Ruckley tells Westfield’s Roger Ash about this exciting new series. Westfield: Is it daunting doing a reboot of such a popular franchise? Brian Ruckley: Sure, a little bit now and again. But that’s how you know it’s a big deal. That’s part of what makes it exciting and challenging. And this is such a rich, big sandbox to be invited to explore, it’s usually not that hard to put aside everything except enjoying yourself. But every now and again you get just that little twinge of ‘This is quite a big deal’. That’s a good thing. Any writer wants to work on things that matter to people, and personally I love the fact that this franchise has a history, a legacy of great stories. Ruckley: A handful, yes. I’ve got a few possible introductions up my sleeve, but I won’t be rushing into it: only two or three, I think, are likely to show up any time soon, and they’re in there for specific reasons. 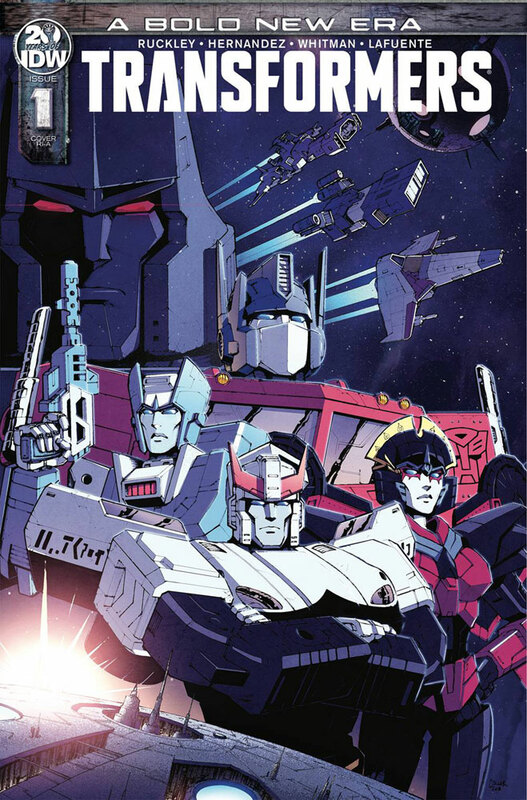 There are particular things I wanted to do, or show, that happen to work nicely with new characters – the existing cast of Transformers bots is so vast, and so varied, that you kind of need to have a good reason to start adding to it. One of the newcomers will be in there right from the start, though, in a big way: Rubble, a newly-forged Cybertronian who’s very excited to see what this world, this life, he’s arrived into might have to offer. 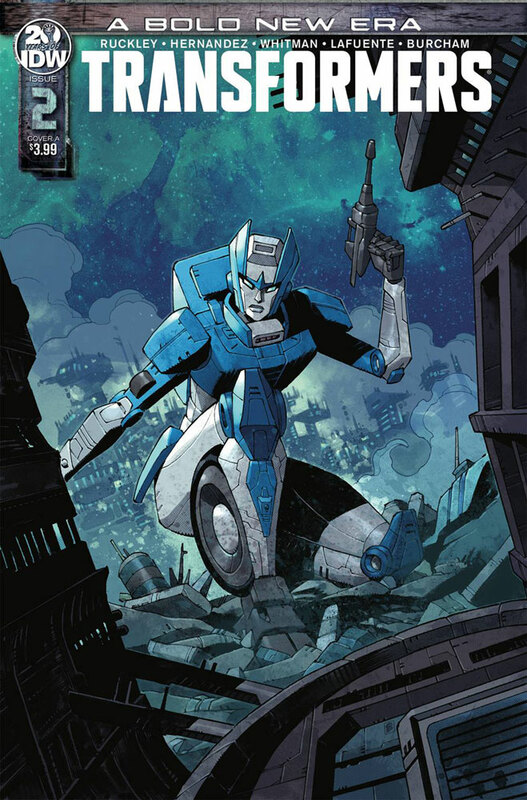 Westfield: From the description of the first issue, the planet Cybertron sounds like a character itself. Do you find that to be true? Ruckley: I’d certainly like it to feel true! We wanted to do something just a little different with Cybertron this time around. Nothing crazy drastic, just give it a bit of a new twist, a new flavor. Starting with the fact that it’s at peace, I guess! But lots of other things, too. There are alien species there. There are Cybertronians not just on the landscape, but in it, part of it. There are interesting things going on with the innermost moon. It’s a unique place in the universe in all sorts of ways, and it’s a living planet in all sorts of ways. Hopefully, issue by issue, readers will see that it’s a place of wonders. Westfield: With all the big, over-the-top action you can do with Transformers, this begins with a murder mystery. Why did you start with something that feels much more personal? Ruckley: Well, the big, over-the-top action is coming, you can be sure, but it’s true we’re starting with something a bit more focused, a bit more personal. This is a huge world, a huge universe, and a potentially huge cast of characters but we’re going to take one step at a time in exploring it. Start with that focus and gradually expand it out, bring in more characters, more context. It’s a way into the story, and the universe, that hopefully won’t overload new readers and – most importantly in a way – makes the characters the driving force. 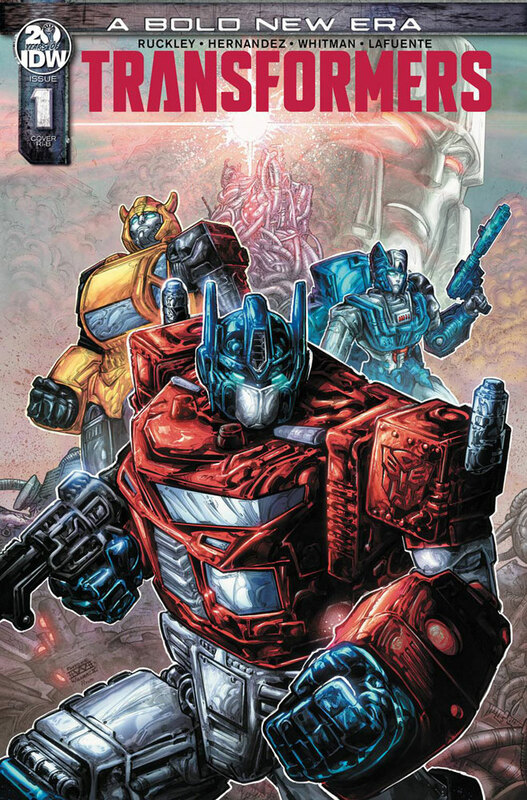 At its best, Transformers can be pretty epic science fiction awesomeness, but I think it’s always, always at its best when its rooted in the characters. Westfield: You’re working with artists Angel Hernandez and Ron Joseph. What can you say about your collaboration? Ruckley: This is a pretty complicated machine we’re trying to run. Producing a high-profile comic twice a month is ambitious, and a lot of the heavy-lifting – most of it, really! – is being done by Angel and Ron. They’re both amazingly good at what they do, and they bring some serious enthusiasm to the whole project. I’m always slightly in awe of what comics artists do, being unable to draw anything beyond stick figures myself, and from what I’ve seen these guys are rising to a pretty serious challenge with spectacular success! 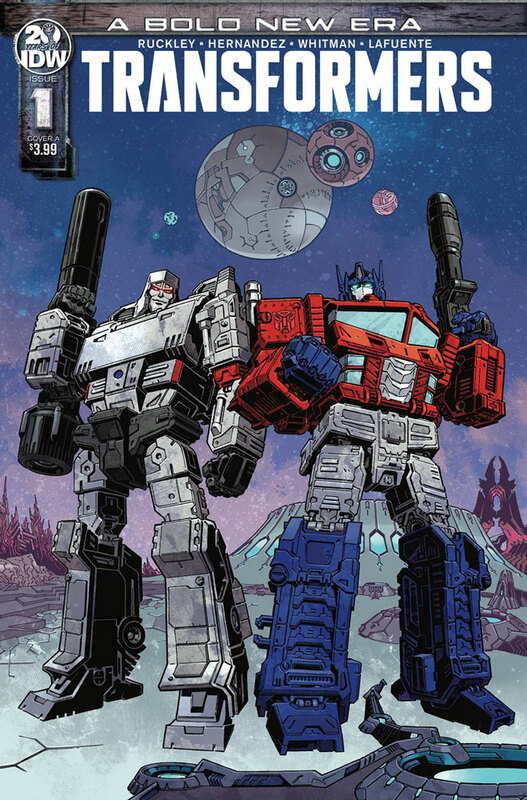 Ruckley: Only that I really am trying to make this a comic that not only long-time Transformers fans can find lots to enjoy in, but also folks who’ve never read any Transformers fiction in their lives. It’s a chance to get in at the start of a big, amazing universe. I’m having a blast writing it, the artists are having a blast bringing it to life. So far as I can tell, even the editors are having a blast editing it! So with any luck, some of that will rub off on readers, whether they be new or old!